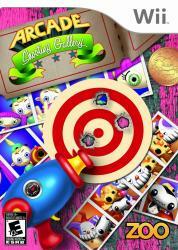 Players assume the roles of Tony and Melissa in this third person shooter with a colorful cartoon feel. Shoot down enemies with laser guns, bubble bomb pistols and more in order to bring order back to the park. Explore different sections of the carnival and shoot down all that comes at you - but beware, these enemies will not go down quietly.